Maybe I Should Take a Day Off? The above quote is from “Ferris Bueller’s Day Off” (like you didn’t know!). 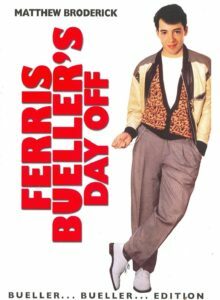 One of my favorite movies and the quote above, which Ferris says at the end of the movie, has taken on special meaning since being diagnosed with cancer a couple months ago! My diagnosis, B-Cell, Non-Hodgkins, Lymphoma, is not a critical type of diagnosis where I am given three weeks to live or anything like that. According to my oncologist, my cancer is very treatable and very non-aggressive, so we’re hoping for the best (excuse me, while I go knock on wood). Of course, when I was a teenager hearing that quote made me think about never working, traveling the world, and doing whatever I felt like regardless of cost. Now that life set in and I recently turned 50, I realize that “If you don’t stop and look around once in a while,…” doesn’t necessarily apply to money, travel, and other extravagant stuff like that; it just means don’t get so caught up in the world (it DOES move pretty fast) that you don’t get a chance to be happy. And the type of things we get happiness from don’t need to cost a fortune. 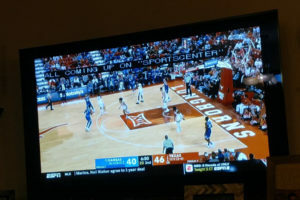 Okay, it might make me happy to get on a private jet and take a two-month vacation in the south Pacific, but it would also make me happy to watch a basketball game (live or even on TV). So find something easy that can bring you happiness and remember the quote at the top of this blog! Be in touch about nearly anything regarding us, the website, disability in general, topics you'd like to see covered on the blog, or just being happy and we'll try to reply to your email. Email us if you have any questions/suggestions regarding the site, either of us, or Happy on Wheels in general. Copyright © Happy On Wheels.